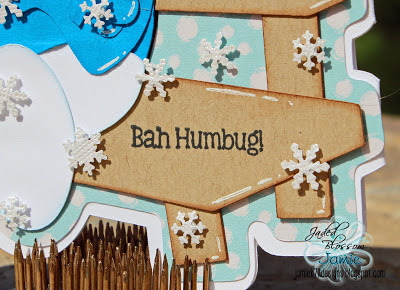 Jamie here to share my first Christmas project of the month! I used Winter Wishes on my card today. Love how great this sentiment goes with Grouchy Smurf! I added some snowflakes from a punch all over the card. Stop by tomorrow to see another Christmas project!!!! 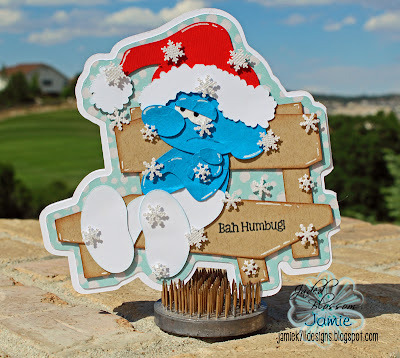 Super Cute card and sentiment! Adorable smurf! very cute and so many ideas! Super Cute. I love this. How cute is this card!! I love all the snowflakes!! I love this he is so stinkin cute!! Th snowflakes look like thy are real! !